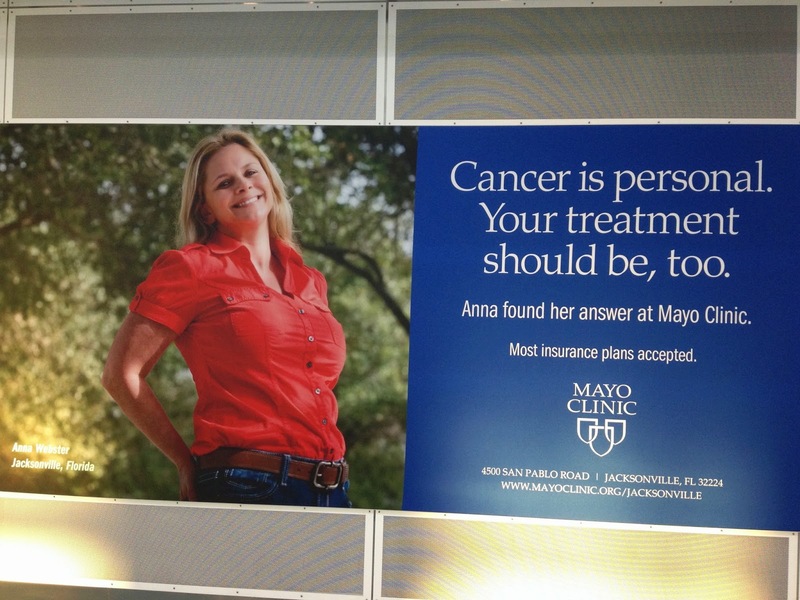 Speaking of insipid hospital advertising in Jacksonville Airport, what's the story about this one from Mayo Clinic? Who on earth doesn't offer personalized cancer treatment? And, why does it say "most" insurance plans accepted? Why wouldn't they accept all insurance plans? As below, does any of this kind of advertising contribute to the public good? I am afraid you are trying to close the barn door after the horse is long gone. The monetization of medicine is now well underway and I don't see anything on the horizon which will change that. When government contractor companies (as recently noted in the Washington Post) and private equity are attracted to the field, that is a clear cut sign. So glad you highlight this crappy advertising. Our insurance money is going for this? What an emetic.